Sue is Chair of Trustees for the Quiet Garden Movement. She was among the first group of women to be ordained priest in the Anglican Church. She now lives in York, is married to Nick, with three children, 2 grandchildren and one step great grandchild. Sue and Nick developed a Quiet Garden in Sheriff Hutton, North Yorkshire for 17 years, involving hospital chaplains, parish groups and the occasional artist. 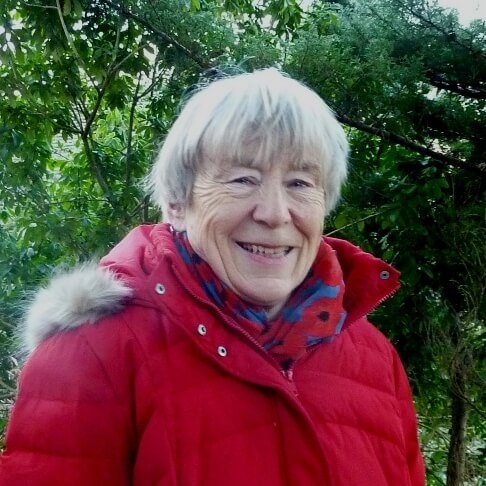 Listen to Sue reflecting on starting her own Quiet Garden and her visits to Quiet Gardens around the world.